Holland & Barrett Starflower Oil Capsules is a dietary supplement that provides the user with essential fatty acids particularly linoleic acid (LA) and gamma linoleic acid (GLA). These fatty acids are scarce in the body hence the need for supplementation. LA in the body is metabolized to GLA which is crucial in the production of prostaglandins which are hormone-like substances that are important for various functions in the body. GLA is known to be effective in easing hot flashes and other menopause symptoms while offering many other health benefits. Each soft gel capsule contains starflower oil or borage oil which is derived from boragoofficinalis seed. Each 1,000 mg capsule provides 350 mg of cis-Linoleic acid (LA) and 190 mg of gamma linoleic acid (19% GLA). GLA and LA are essential fatty acids that are popular natural remedies for hot flashes and menopause symptoms. There is some research indicating that supplementing with these fatty acids can decrease the severity of menopause symptoms but they can rarely get rid of the problem completely. However, there is still no substantial evidence that supplementing with these fatty acids alone can be effective in treating the different symptoms of menopause. Holland & Barrett Starflower Oil Capsules is high in the essential acids LA and GLA which are very important in the body’s production of certain hormones. Studies have linked severe menopause symptoms to low levels of these fatty acids in the body. This is because of the close connection between the essential fatty acids, normal function of the endocrine system and hormone production. The problem is that studies still have inconclusive results and there are some studies indicating that starflower oil needs to be combined with other natural ingredients like herbs for considerable relief from menopause symptoms. Take one to two soft gels daily preferably with meals to prevent stomach upset. Do not take other similar supplements like omega-3 without consulting your doctor. Is Holland & Barrett Starflower Oil Capsules Safe To Use? There is still no thorough testing conducted on the product so it cannot be considered completely safe. Also, starflower oil is relatively new when it comes to treating menopause symptoms. Long-term safety testing is still being conducted. For optimal safety, consult your physician before taking this supplement. Is Holland & Barrett Starflower Oil Capsules Effective? The main problem with the product is that it has not undergone clinical testing so there is no evidence of its effectiveness. There are some good reviews on the product but most say it doesn’t really have significant effects in easing menopause symptoms. There is also some customer testimonials saying that it doesn’t really have any effect when it comes to relieving menopause symptoms. 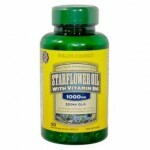 What Kind of Results WillHolland & Barrett Starflower Oil Capsules Show? Most users say Holland & Barrett Starflower Oil Capsules only offers minimal relief from menopause symptoms. Again, there is some feedback from people who have tried it saying it didn’t have any effect on them even after finishing a whole container of the supplement. Like most supplements, it takes around two to four weeks to see results from taking this supplement. Results also vary from one user to another for unclear reasons. Remember that food supplements should not be used as a substitute for prescribed medication. If you are pregnant, breastfeeding, under medication or have any medical condition, consult your physician before taking this or any other supplement. In a case of any side effect, discontinue use. Holland & Barrett Starflower Oil Capsules has several good features like the fact that it is made from natural ingredients. There are also some studies backing the use of starflower oil for easing menopause symptoms. However, the big problem is that starflower oil is still not substantially proven to be effective when it comes to relieving menopause symptoms. Most experts say it would be more effective when combined with other natural ingredients like herbs. 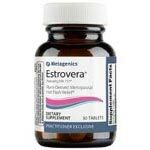 Overall, this is not a very good supplement for treating menopause symptoms. It would be better to consider other products that are actually clinically proven to be effective and safe.